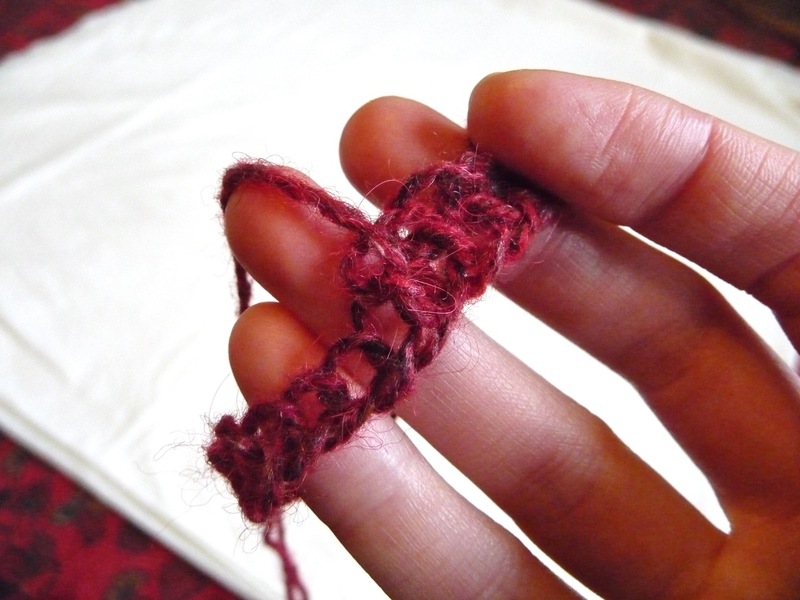 Ever since I saw these socks in the Victoria & Albert Museum I’ve wanted to try nålebinding. 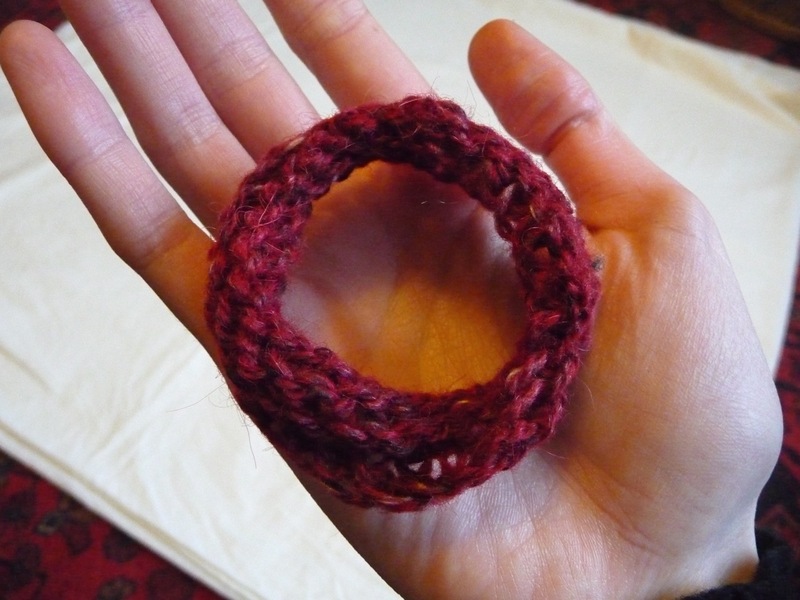 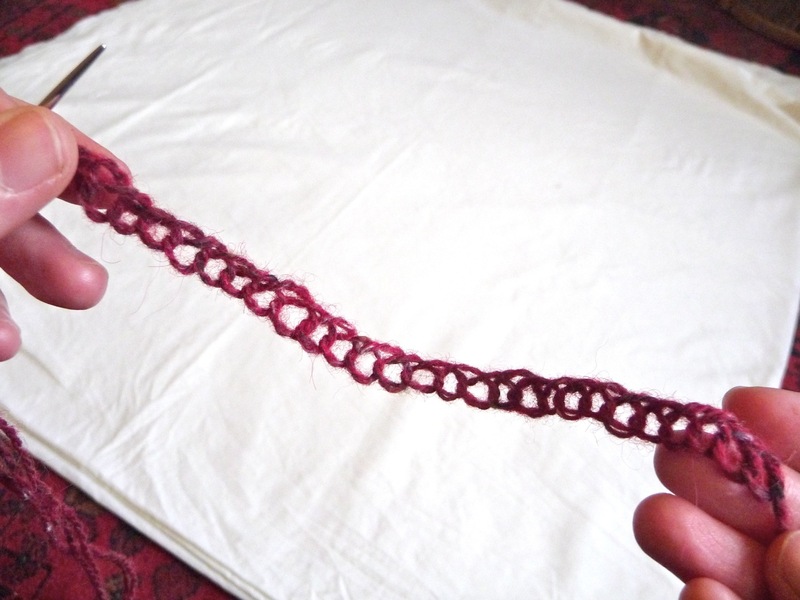 Thanks to some excellent tutorials on youtube and Richard Rutt’s The History of Knitting, I’ve started to have a go. 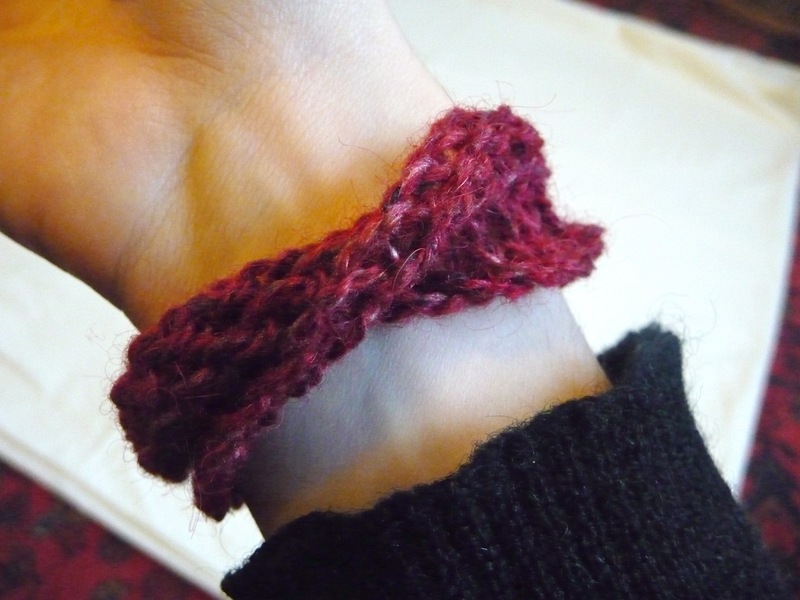 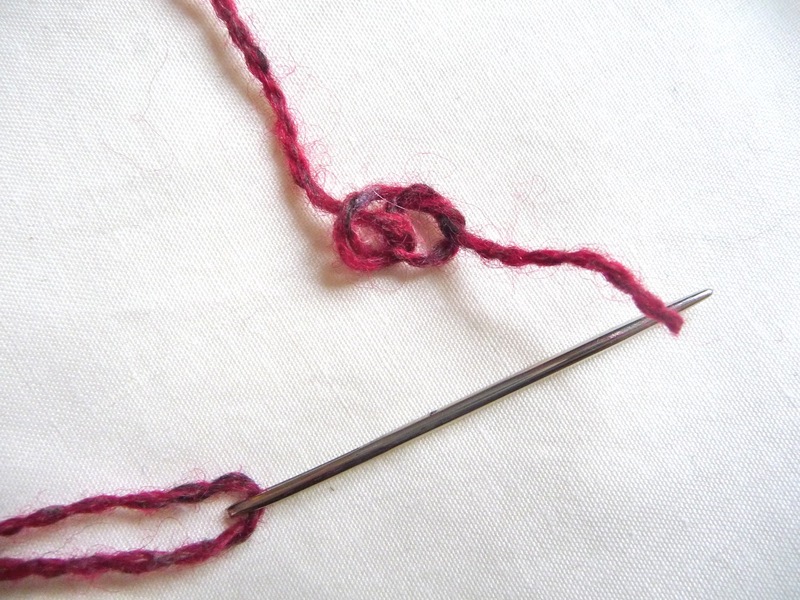 Even though it can produce a fabric structurally identical to knitting, nålebinding is sewn with a threaded needle. 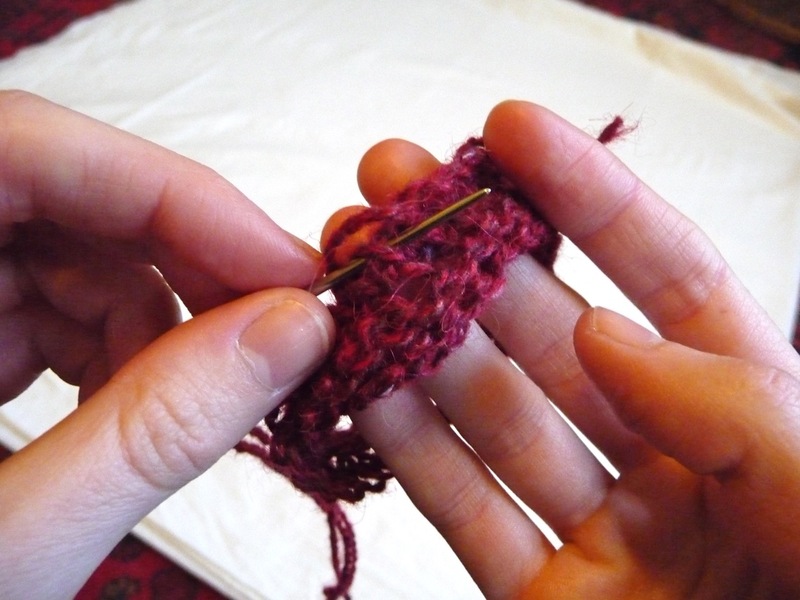 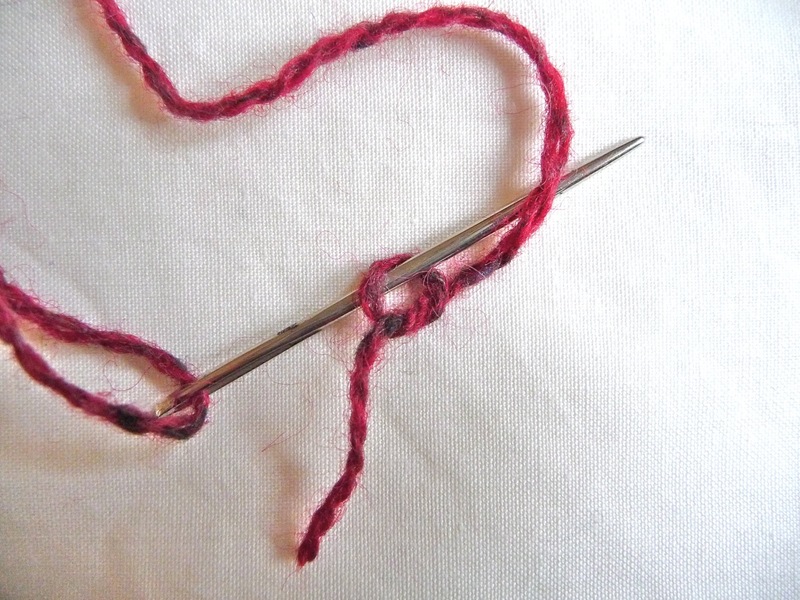 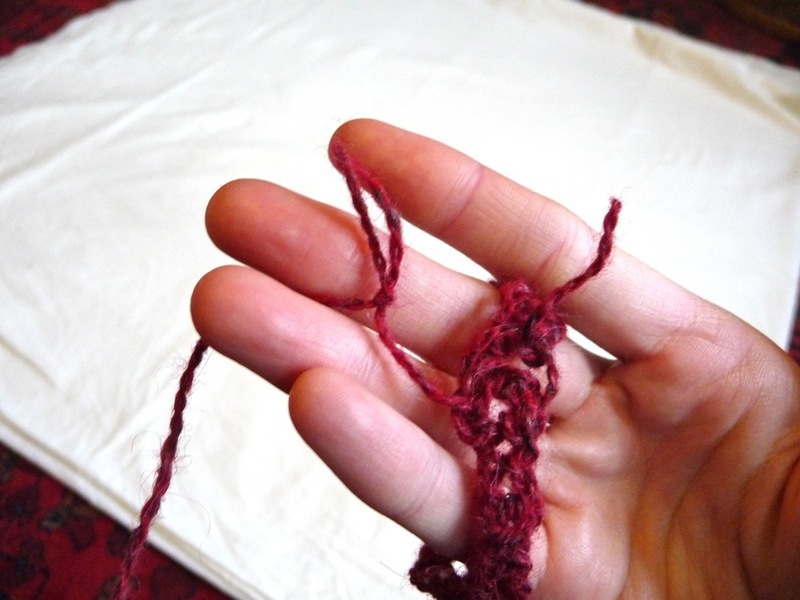 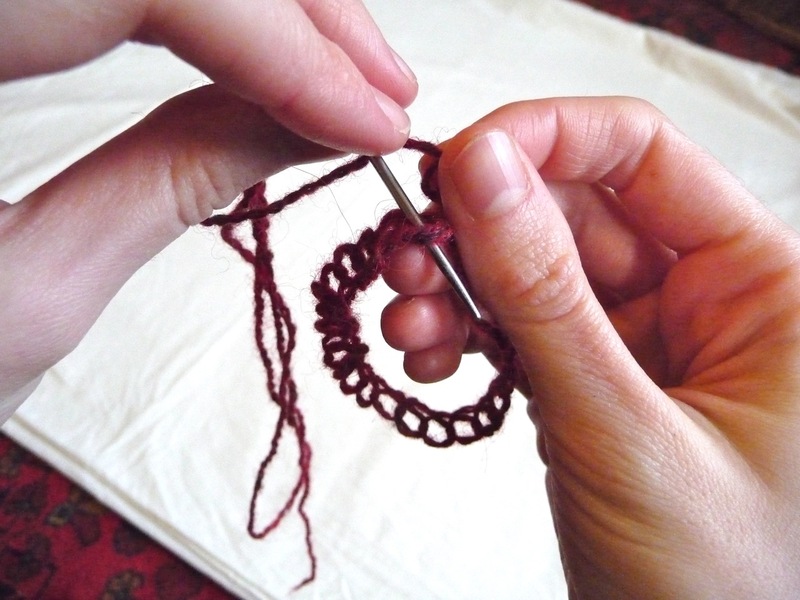 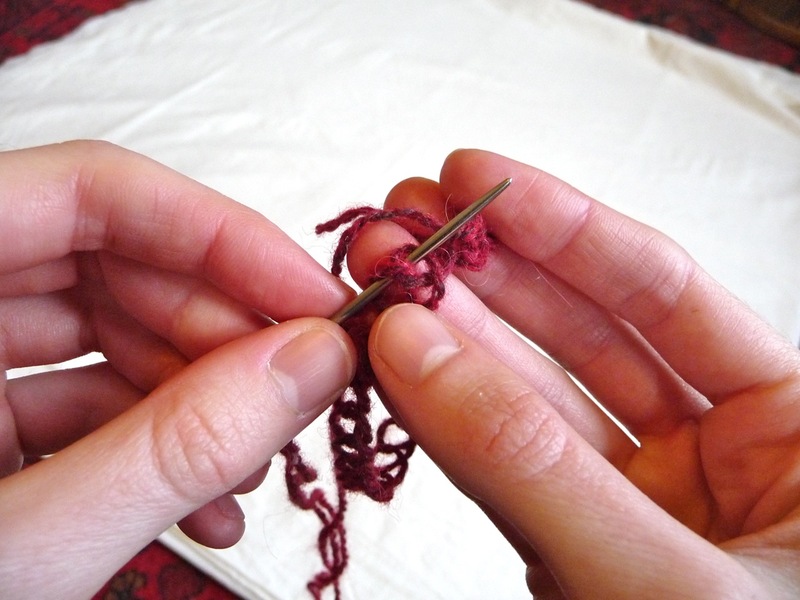 I doesn’t unravel like knitting because the yarn is pulled through each stitch. 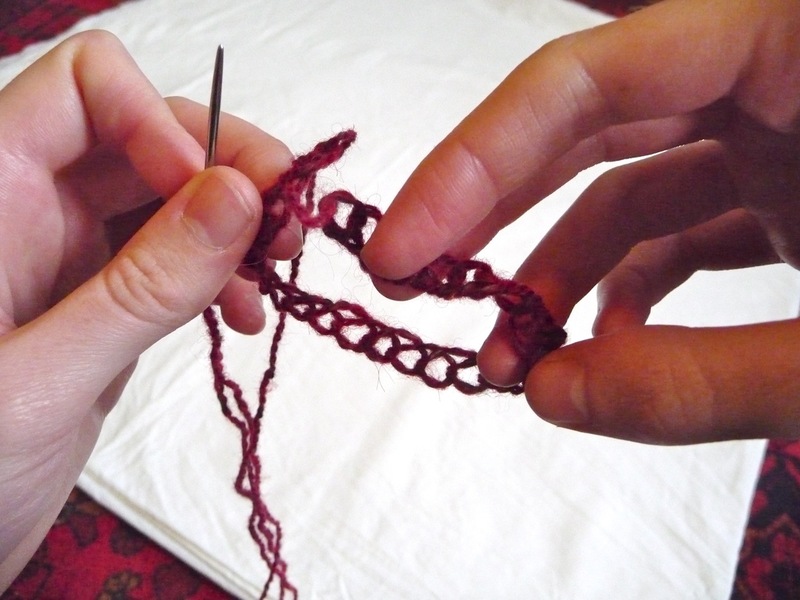 I describe it as ‘knitting backwards’. 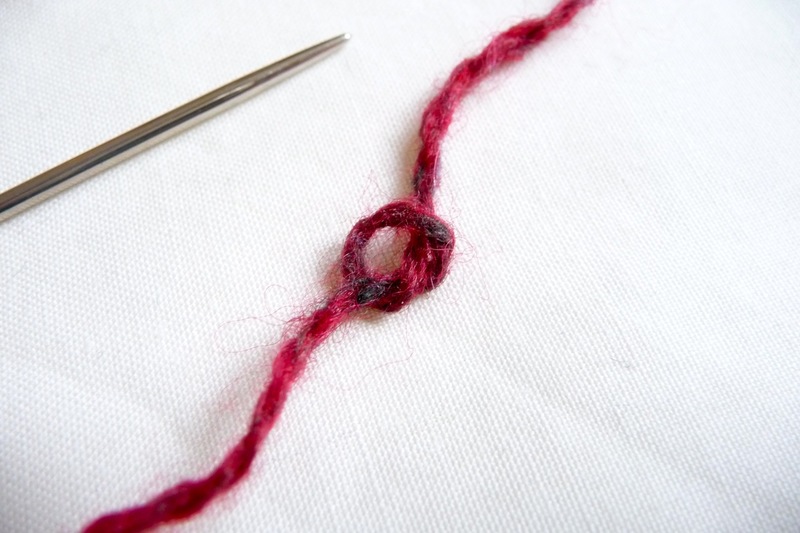 The easiest way to explain how it’s done is through photos, so here’s the first stage: making the initial ‘knot’ and row of loops.